Home » Equine » How much difference can nutrition make in a horses coat? The most important part of a horses diet is forage. 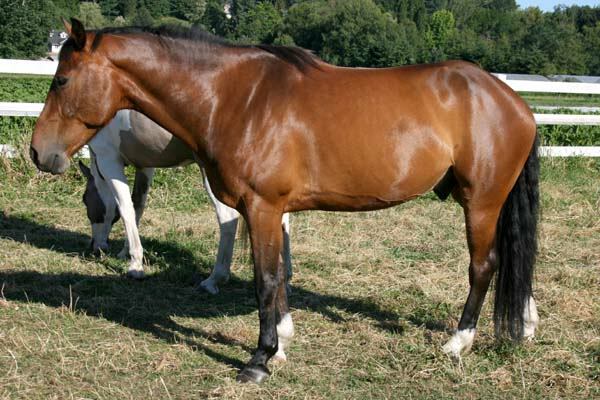 Horses need the fiber that forage provides in order to keep their digestive track healthy. 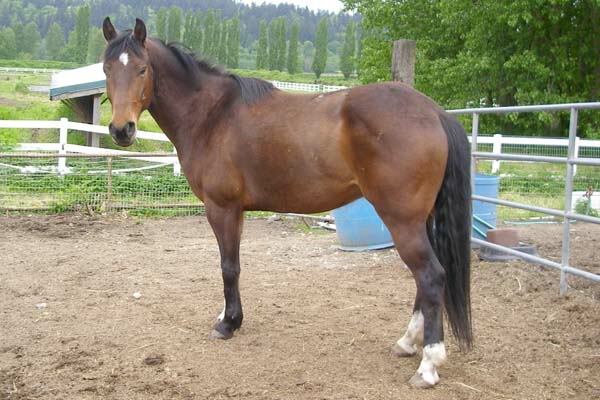 The minimal forage a horse needs is about 1 lb of high quality hay or grass for each 100 lbs of body weight. This means a 1200lb horse needs a minimum of 12 lbs of hay a day. Remember, however, that this is a minimum value and some horses will need more. Feeding to little forage means a horse isn't getting enough fiber in their diet and this can increase the risk of colic and other digestive problems. The best solution is usually to feed hay free choice with the exception of some "easy keepers". Even when a horses forage and caloric needs are meet they can still be low on certain vitamins or minerals. It is important to have your hay and feed analyzed to ensure the proper mix of vitamins and minerals. If you are unsure how to get started or what to do with the information contact your local vet. They should be able to point you in the right direction. 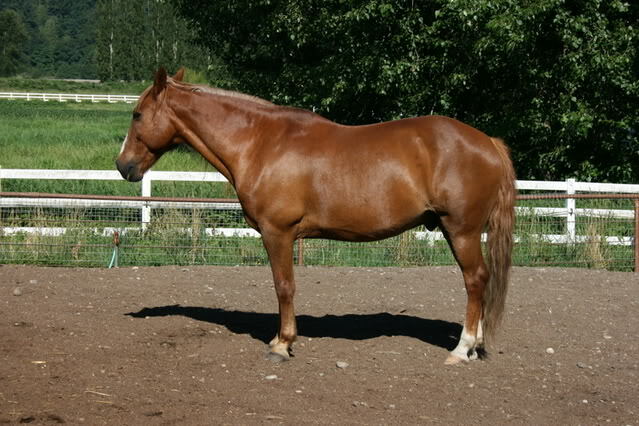 The photos below show the difference simple diet changes can make in a horses appearance. what was the change in diet to create such a change?? 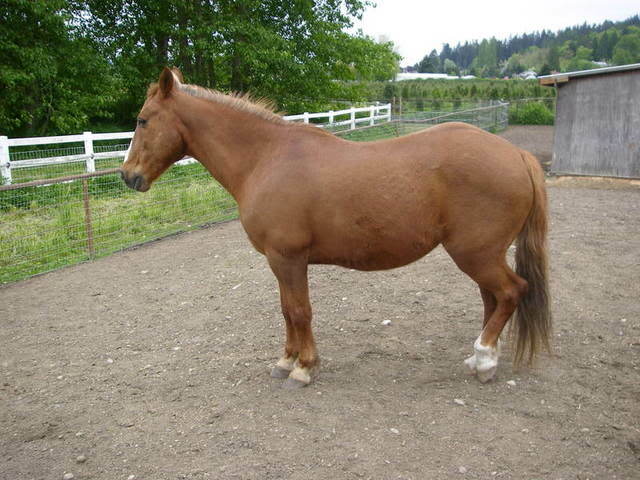 The horses were in the Pacific North West where the soil and hence the local forage is low in selenium. The change came after the forage was tested and diet adjusted to add the missing selenium.